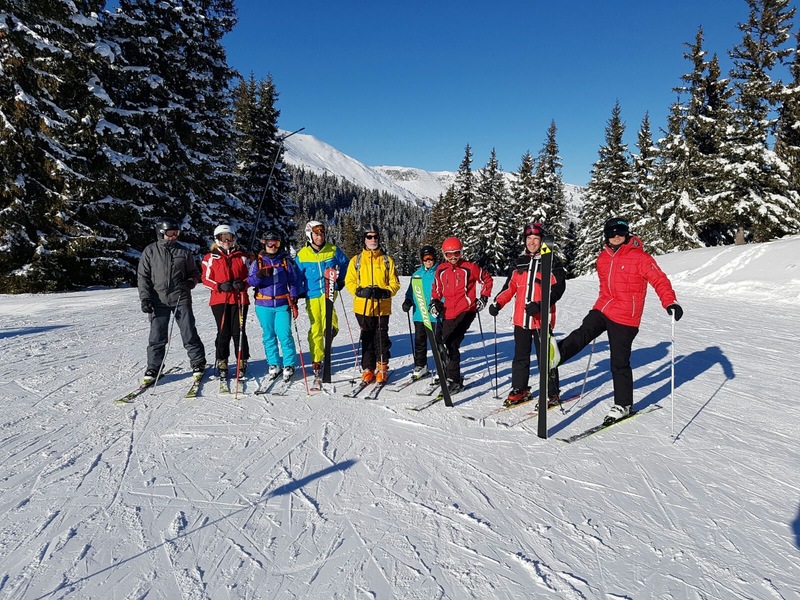 Winter Sports involve moving in fresh air, on high mountains, in wide slopes, in deep snow and on the ice – normally not possible in wheelchair, enjoyable with adaptive equipment together with family and friends! 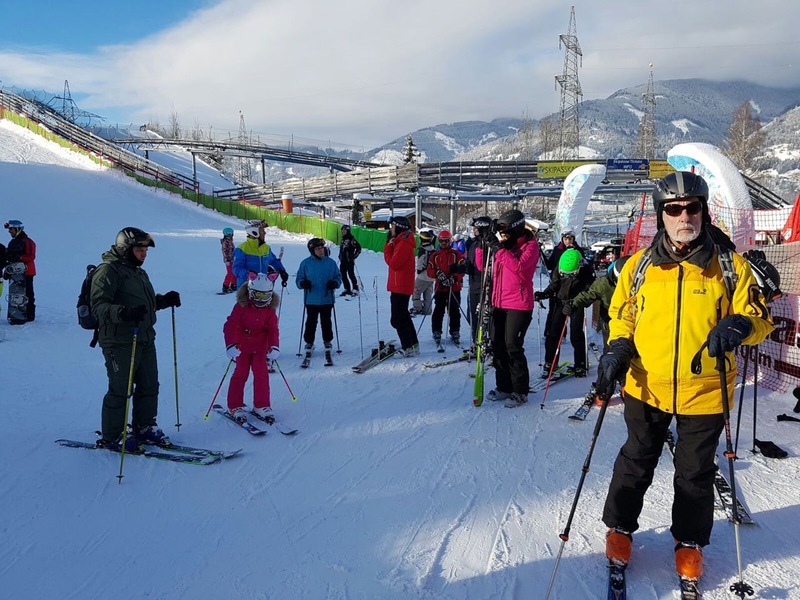 Since the early 1960’s, people with Cerebral Palsy (CP) have been able to learn to ski for both therapeutic and recreational reasons in Alpine and Nordic styles. Skiing provides people with CP with a wonderful opportunity to move over snow and to develop new balance and new movements. Since special sit skis like Bi-Skis, Dual-Skis, Kart-Skis became developed, skiing is also possible for athletes with severe disabilities. In recent years, new sports like Snowboarding and Ice Sledge Hockey became very popular for people with CP. In the last few years, athletes with CP have made their way into competition both at national and international level with the help of their national sports organizations for the disabled or national ski federations. Therefore, the CP-Classification got integrated in the IPC-Classification-System for Winter Sports. Different offers of winter sports for people with CP is also possible on a recreational and competitive level! Alpine Skiing (sitting and standing), Nordic Skiing (sitting and standing), Snowboarding (standing), Ice Sledge Racing (sitting), Curling and Ice Hockey are the most popular winter sports on a recreational level. Elite sports athletes in Alpine Skiing and Snowboarding were and are very successful. In Nordic Skiing, Sledge Hockey and Curling athletes with CP also can compete. The Dual-Ski is similar to a Mono-Ski, but with two skis. It’s recommended for individuals with balance problems. For individuals classed as a C1-C3 (Triplegia and Tetraplegia), they can use a Bi-Ski. This sit ski model is usable for individuals with very severe Cerebral Palsy and can be used with one, two, or without outriggers. For beginners in sit skiing, an assistant with good skiing performance and safe flexibility in alpine terrain is necessary. Characteristic for Bi-Ski are two short carving skis, flexible fixed on the sitting plate. This flexibility allows carving only by small movements with the upper body sideward. For safety reasons and balance supporting side outriggers can be fixed. Therefore the Bi-Ski is ideal for children, who are too small for the Mono-Ski, for Tetraplegia, for people who could not use outriggers, and all people who’s disability do not allow using Mono-Skis. For all standing disabilities (including diplegia, hemiplegia, athetosis, ataxia). Sometimes special equipment could be necessary. For CP-Athletes who are not able to use standing equipment. No restrictions, but push up with poles should be possible. Snowboarding became part of Paralympics in Sochi 2014! Slalom and cross events are possible for athletes with physical impairments. Snowboarding is possible for CP standing athletes with diplegia, hemiplegia, athetosis and ataxia. Sometimes Snowboarding could be easier than Alpine Skiing. Small modifications on the boards or assistive devices could be necessary. Sledge Hockey is the Paralympic version of ice hockey and, since its debut in the Paralympic program in 1994, it is fast becoming one of the biggest attractions for spectators at the winter Paralympic Games. It is fast-paced, highly physical and played by athletes with a physical impairment. As in ice hockey, six players (including the goalie) from each team are on the ice at one time. Two-blade sledges that allow the puck to pass underneath replace skates, and the players use sticks with a spike-end and a blade-end. Therefore, with a quick flip of the wrist, the players are able to propel themselves using the spikes and then play the puck using the blade-end of the sticks. A player may use two sticks with blades in order to facilitate stick handling and ambidextrous shooting. Sledge hockey games consist of three 15 minute stop-time periods. Wheelchair Curling become developed from Ice Sledge Hockey. The Paralympic debut was in 2006 in Torino. A team consists of four players with at least one women and one athlete with a severe disability. The rules are the same like curling for able bodied, with the exception of wiping. The curling facilities must be accessible and a special surface is needed. The minimal disability for CP is corresponding to Class 7. Normal upper body function is required. In Alpine Skiing the special attention is given to the disabilities on the legs, but in Nordic skiing you have to consider also disabilities in the arms.